Michel Foucault is well known to researchers and readers in several fields, esp sociology, anthropology, history, and philosophy. Many of his ideas also have to do with another field – medicine – though most doctors, nurses and other healthcare practitioners, at least in my home country India, have hardly heard about him. To be sure, one can very well understand the theories and practice of medicine without ever reading even the F of Foucault. So he is not a requirement that way. But he is definitely essential if one needs to understand the philosophy of medicine. 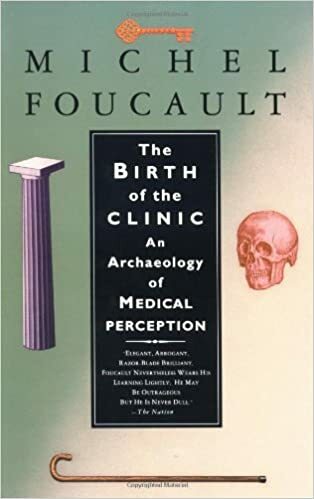 Foucault’s most commonly known idea in medicine is one that pertains to medical perception, or the style of thinking in medicine. This concept is known as the medical gaze (or clinical gaze). It refers to a sort of revolution in the way medical practitioners began thinking about the human body and disease a few centuries ago (Foucault dates this to the late 1700s, though arguably the shift began much earlier). To understand this shift in thinking, it will be helpful to get a basic idea of how we thought about illness and disease in the past. Wherever human societies lived in the past, there always existed what can be called a medical system. Every such system had its own ideas and beliefs about what the human body was, how it worked, and how disease developed, though there were several similarities in how different societies thought about disease. For example, the ideas about disease causation ranged from an influence of evil spirits in the person’s live to an imbalance in the body’s ‘vital elements’. the ill person accidentally consumed something poisonous, or was deliberately fed a harmful substance. The message to take home from this list is that in the past, disease was hardly ever localized. Physicians did not think at the organ-level, let alone the tissue-level. For the purposes of disease causation and treatment, the human body was considered to be a single interconnected whole, and in a constant give and take with its surrounding environment. When a physician in the past came across a coughing patient, they never thought, ‘Oh, there must a problem with the lungs or its membranes’. What would a physician today think when they come across an ill person coughing uncontrollably? They might remember the whitish-yellowish lung tissue they saw during an autopsy in the past, or in a pathology specimen; they might remember ‘inflammation of membranes’; they might remember cavities they saw in chest X-rays; they might remember the names of the invisible bacteria which can potentially infect lungs. This localized, often reductionist way of thinking about disease and ill health is what Foucault called the medical gaze. That is, on simply hearing the patient talk about their problems, the mental gaze of the physician, by default, penetrates the patient’s body and begins evaluating the possibilities of which tissues and organs inside could be affected. On a historical scale, this is a recent development in human thinking. Earlier, we never thought of the body as a working collection of discrete tissues and organs, with each capable of its own independent pathology and disease. Earlier, the gaze of the physician began at the body and ended in the heavens, traversing such elements as food, climate, family, community, etc. in the middle. Today, on the other hand, the medical gaze generally begins at the tissue, and often at the level of the gene. Lastly, it is important to remember that the medical gaze though no doubt a highly efficient way of managing illness, needs to be accompanied by a ‘social’ gaze of thinking about the social determinants of health and disease (and not just the biological determinants). Otherwise it actually ain’t that penetrating.